Taking note of Matthew’s placement of the Transfiguration in his gospel proclamation is key to preaching this Sunday. With compelling insight, Matthew situates the tale at the midpoint of his narrative, spaced nicely between Jesus’ baptism in the opening scenes and his Resurrection at the blockbuster finale. Already, Jesus has been labeled as a blasphemer, subjected to intense criticism for his choice of table companions, nagged incessantly about his disciples’ failure to observe the law and traditions, accused of demon possession, and doubted by John the Baptist. Now, however, the momentum of Jesus’ trajectory to Golgotha is picking up speed, and he knows it. It is at this turbulent moment that Matthew directs our gaze upward to a high mountain, to a dazzling reminder of who Jesus is and a glimpse of what is to come. Taking note of the timing of the Transfiguration story in Matthew’s narrative of Jesus is key to this Sunday’s pulpit proclamation. So is its recapitulation on the Sunday before Lent, its timing in the Church Year’s narrative about us. Contrary to what some may think, we don’t observe the days and seasons of the church calendar simply because it is a handy didactic tool. It’s not because it gives congregations a reason to change the decor in church from time to time. It’s not even because the calendar gives liturgists something to argue about. 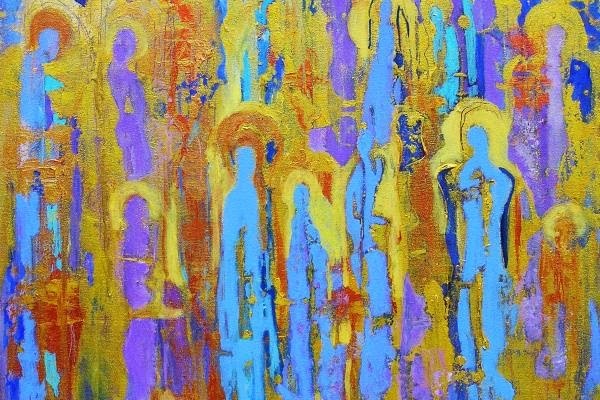 No, we get swept up in the rhythms of the church year because it is a concrete expression that the days of our lives find their full identity and meaning in Jesus Christ. There’s a wonderful saying you may have heard. It goes like this: "It is not so much that the Jews keep the Sabbath but that the Sabbath keeps the Jews." Well, it’s not so much that we keep the church year, as it is the church year keeps us. Our marking of time sets the narrative of our lives within the narrative that is the life of the Risen Christ. This faith-filled marking of time is a piece of necessary memory work helping to ensure we don’t succumb to spiritual amnesia and forget that the story of Christ crucified and risen is our story – that is, the stories of our lives are immersed in his. So just as Matthew sets the Transfiguration story right before Jesus turns his face toward his rendezvous with the Cross, providing a glimpse as to the true identity and destiny of God’s chosen and beloved one, Transfiguration Sunday provides for us a sneak peek into what awaits us on the other side of Lent so we may set upon the coming forty days as on opportunity to recover the identity that belongs to the baptized. There are so many other identities foisted upon us that serve as poor substitutes for who we really are. A market-based society tells us all we’re nothing more than producers and consumers. For some of us, hurtful words of a loved one may have told us we were anything but beloved, leaving us to spend our nights and days trying in vain to prove our worth or to earn yearned-for affection. For others, the independence we once so cherished is now held hostage by a debilitating condition, leaving us with the sense that we are no longer anything more than a burden to our family and friends. In each of these situations, and many more, we lose sight of who we really are, as if our true identity has been snatched from us. Identity theft, it would seem, is not just a phenomenon of cyberspace costing individuals and society millions of dollars each year. Indeed, as tragic and scary as that may be, there’s an even more costly kind of identity theft, one that far too often befalls the church. It is the identity theft in which we fail to recognize ourselves as beloved of God, people whose life and meaning, vocation and mission are found in Jesus Christ. 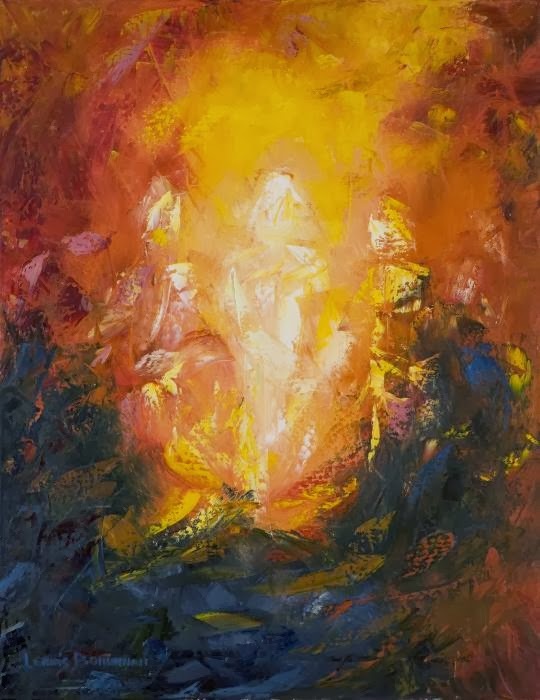 So, by passing through the Transfiguration story, we ready ourselves to enter the days of Lent, making our trek to the Easter waters awaiting us at the Christian Passover, so we might walk as people of the Resurrection. 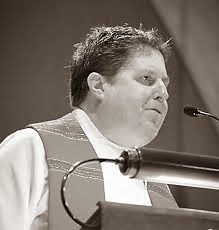 Jay Koyle is president of The Associated Parishes for Liturgy and Mission. He serves on the Primate's Task Force on Hospitality, Christian Initiation and Discipleship Formation (Anglican Church of Canada). This is extremely helpful, Jay. Your reflections help me see how the "false epiphanies" and manufactured epiphanies of our world try to sell us on false identities.